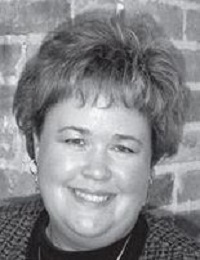 Clerk of Court Melanie Reed is part of the Criminal Racketeering Operation in Ellis County Texas. This happens all over the country. The court clerks know that the judges are committing crimes, and they do what they are told...committing violations of their oath, the rules, state civil statutes, state criminal statutes, and RICO statutes regarding organized crime. Bill Windsor has suffered all types of abuse at the hands of Melanie Reed and her staff. Melanie Reed of Ellis County Texas and her staff, especially Mary Hinds, have failed to file vital court documents received from William M. Windsor. Requests sent to Melanie Reed and her staff for copies of legal documents are ignored. Inadequate information is provided. Bill Windsor's requests, with payment, for copies of bonds in other criminal cases have been ignored. This is evidence that will help convict Ellis County District Attorney Patrick Wilson and Assistant Ellis County District Attorney Ann Montgomery-Moran. Most recently, Bill Windsor's request for a certified copy of the court docket has been ignored. He must have this to file with four appeals, and his request has simply been ignored. The staff of every corrupt court clerk in America should be rounded up, tried, convicted, and sent to prison for as long as the law will allow. The laws should be changed to make this a mandatory life sentence. Bill Windsor is suing Melanie Reed for violation of his civil rights. The problem is that she and other corrupt court clerks do so much damage that a monetary award is insufficient for the damages done. Bill has experienced worse. Clerk of the Court for the United States District Court for the Northern District of Texas, James Hatten, falsified the court dockets and destroyed or hid many documents that Bill has proof were filed. These corrupt people destroy lives, just as do the judges they work for. They commit crimes regularly so they can continue to receive their paychecks. They don't seem to have an honest bone in their bodies. If you feel the court clerk's office has screwed you, you can be sure they have. Document everything, and know that you can file a 42 U.S.C. 1983 civil rights lawsuit in federal court. William M. Windsor will post a Microsoft Word copy of his lawsuit online so you can copy and paste anything of interest. Bill is not an attorney, just helping his friends save a few keystrokes on case law.